So, the show. It’s… hard to describe. 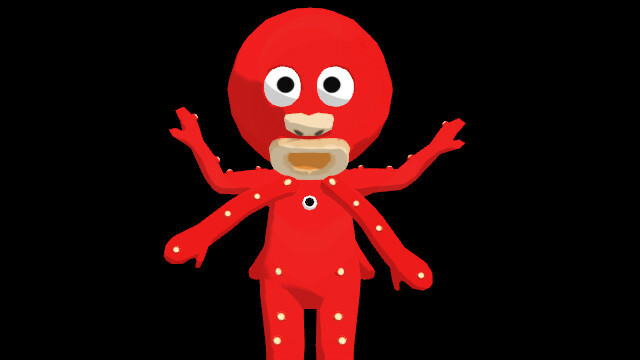 The title character is an octopus who goes around saying “Kure Kure!” at everything (which means “Gimme Gimme!”/”I want it!”), and his best friend/partner in crime (literally…) is a peanut or a Squash (“Chombo”, I think is his name). Both Takora and Chombo are in love with a weird narwhal thing. Law in their weird little sound-stage village is kept (sorta…) by a badger who’s the sherriff – though, strangely for a kids’ show, Takora and Chombo are usually on the wrong side of the law, stealing from guys who look like they might be Sea Cucumbers? ….Read the rest of this article at Unicorn Booty.